Mazda unveiled the MX-5 Miata in 1989 at the Chicago Auto Show. Mazda unveiled the MX-5 Miata in 1989 at the Chicago Auto Show. The car was designed to fill a void left by the lightweight British and Italian sports cars of the 1950s and ’60s. Nearly 36,000 units were sold in the first year of production as the car put smiles on the faces of drivers from various countries, cultures and age groups. 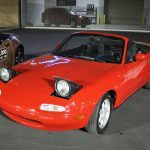 The Miata reached a milestone in 2000 when Guinness World Records recognized it as the world’s best-selling two-seat sports car of all time with a total of 531,890 produced. 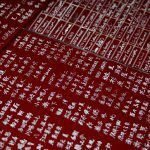 Since then, other milestones have followed — 600,000 in 2002, 700,000 by 2005, 800,000 in 2007 and 900,000 in 2011. 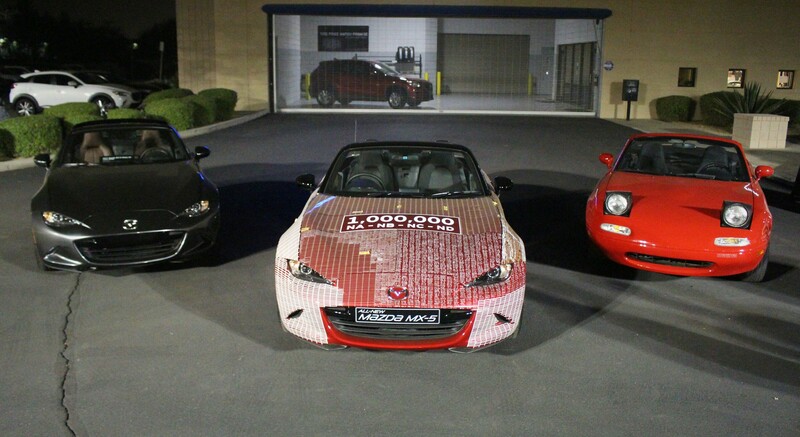 Earlier this year, Mazda celebrated another MX-5 milestone when the one-millionth MX-5 rolled off the assembly line in April. 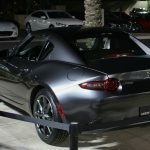 Since the millionth car’s debut, the Japanese-spec, right-hand-drive, fourth-generation MX-5 has been on a world tour that includes 18-stops in the United States. The car’s body features spaces reserved for enthusiasts to sign their names. Displayed alongside the one-millionth MX-5 are the 15th Miata produced — a classic red 1990 Miata that was one of three cars shown at the 1989 Chicago Auto Show — and a 2017 MX-5 Miata RF. 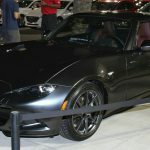 Earnhardt Mazda in Scottsdale was the 16th stop in the U.S. portion of the tour, which resumes Wednesday in Los Angeles at Galpin Mazda before its final U.S. stop at Mazda Raceway Laguna Seca in Monterey as part of the “Miatas at Mazda Raceway” event October 1-2. 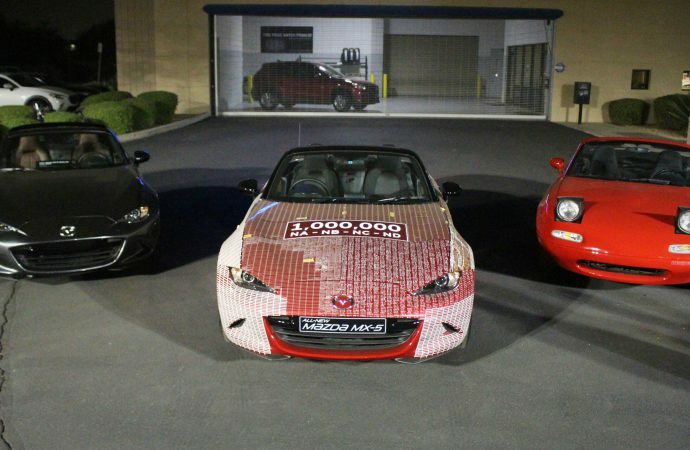 From Laguna Seca, the millionth Miata heads to Australia before being retiring to the Mazda Museum in Hiroshima, Japan, where it will be displayed bearing 20,000 signatures of enthusiasts from around the world.